Discussion in 'Forza Motorsport 7' started by GTPNewsWire, Feb 5, 2019. 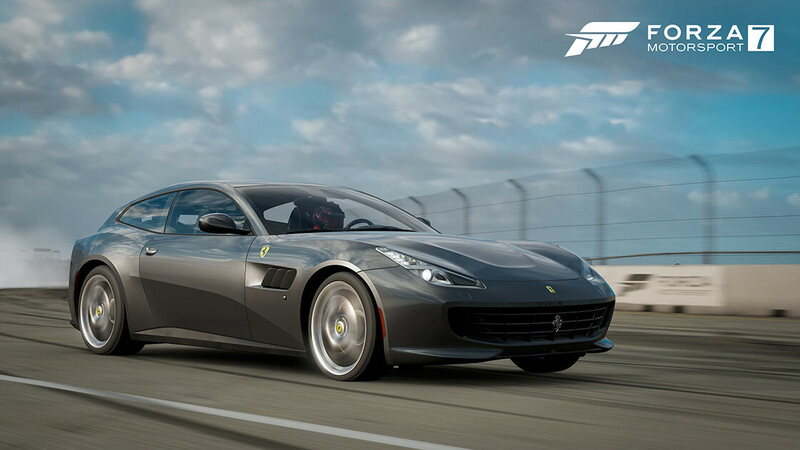 This article was published by Michael Leary (@Terronium-12) on February 5th, 2019 in the Forza Motorsport 7 category. Just ran the Rivals event with the Lusso at Sebring, what a horrible car/track combination! OOoooooh, thanks for the warning! I've got it cued up as I write this. I am psyched to try the new 599xx. I would trade the Lusso for the 488 Pista to be in the game. I enjoyed it. It's a challenging combination and it's rewarding when you get a good fast lap in. AlienDeathRay and Nacho Libre like this. Whaddya know? After my initial frustration I went to the shop and made a race version out of it (that AWD had to go! ), after some tuning and tinkering, I got it to respond better to my driving habits and posted a respectable time (without the turbo conversion.) Still Sebring is to me more exhausting than enjoyable. The side-profile shot makes me question what Ferrari were thinking when approving the GTC4Lusso design. It looks like three parts from different cars glued together. This update is one of the buggier ones. Race Shop and performance estimations are bugged. As much as I want the Race Regs to come, they're hogging all of the team's resources in a game that still needs plenty of fixes and some of these problems were introduced after patches. At this rate it'll be December 2019 when FM7 is in a more refined state and I hope they keep their promise of supporting it until at least then. The side-profile shot makes me question what Ferrari were thinking when approving the GTC4Lusso design. It looks like three parts from different cars were glue together. IMO the Lusso looks better than the FF, haha. Even worse, they have broken pit stops so cars no longer ghost in the pit lane. If cars collide before stopping in their box, they won't get new tires/refuel. On top of that, when the cars make contact they can be turned nose-first into a wall and get stuck, as the pit lane driver AI will just sit there spinning its tires trying to drive straight forward. The only way out of it is to wait for another car pitting and hope it bumps you free, or to quit. Obviously causing problems for organized leagues who run races over 30 mins.